Our successful programme of street stalls continued on Sunday (29th January) with a presence in Golders Green. 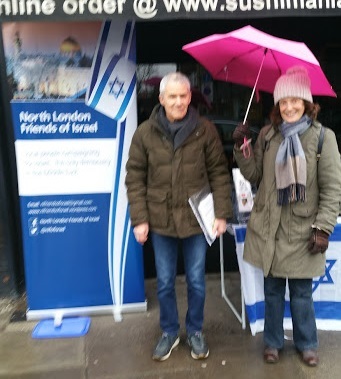 Braving the rather miserable weather, we distributed hundreds of leaflets, signed up some new supporters, and encouraged supporters of Israel. Well done to all of our supporters who participated. 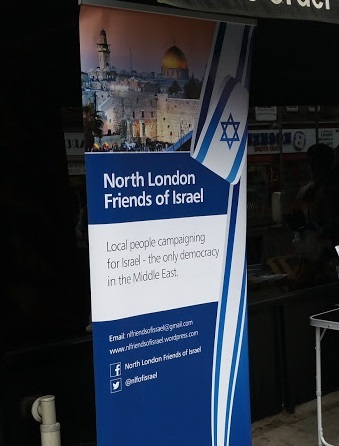 Each year the Zionist Federation and Christian Friends of Israel combine to organise a Lobby Day where supporters of Israel peak to their Members of Parliament about issues relating to Israel. This year some of us from North London Friends of Israel spoke to our local MP Theresa Villiers (Chipping Barnet). She is a strong supporter of Israel and has been taking a leading part in persuading the government to take a more positive approach to Israel and the Middle East. We had a highly productive meeting with her, and are very grateful for the opportunity to put our point of view. 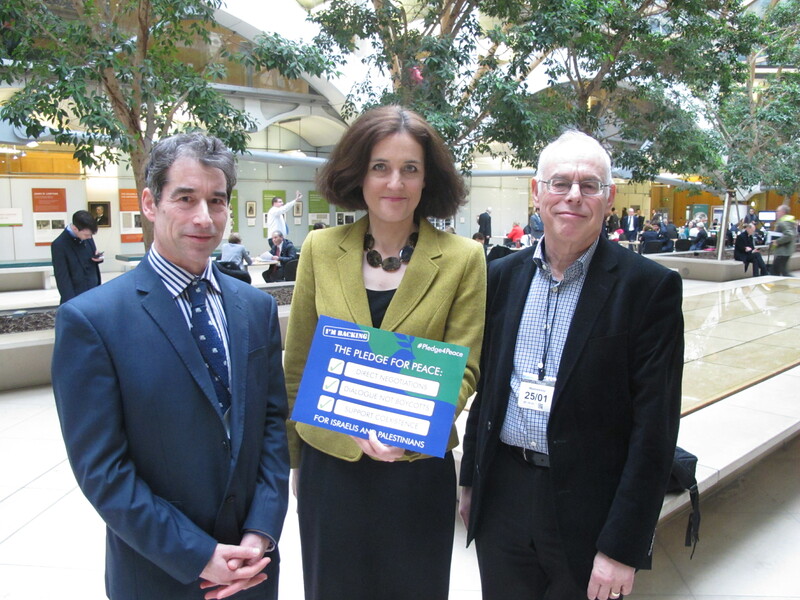 The picture shows two members of North London Friends of Israel with Theresa Villiers MP at Portcullis House during theLobby Day. A third was taking the photo! On Friday 23 December the United Nations Security Council passed resolution 2334. Whilst supporters of Israel have a wide range of views about the settlements issue, it’s clear that the resolution was problematic. We are asking you to support a campaign by the Britain Israel Coalition and We Believe in Israel to write to the Prime Minister and your own MP challenging Britain’s vote. Go to the link and follow the instructions. You can amend the letter that it will send if you wish.